It is nationally, if not internationally, perceived that boys are simply not interested in reading or writing, and that this accounts for the continuing trend of girls outperforming boys in this area. 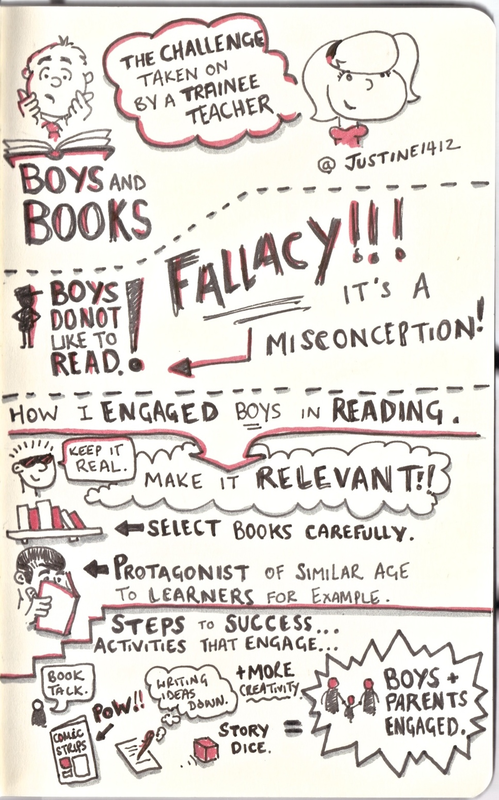 Believing this to be a fallacy, I engaged with a wide array of literature on how boys learn in order to alter my practice to see if I could use this knowledge to get my male pupils engaged. Guess what? It worked. Whilst personalised learning seems impossible in a class of thirty, one can very simply familiarise themselves with learning behaviours and adapt teaching to suit the range of needs in the class. This includes the range of needs between the sexes. Quite simply I made Literacy relevant and engaging, gently fostered with the thrilling edge of competition (who can honestly say that none of their male pupils are competitive?!). My chosen book to get my boys reading—and eventually writing—was Philip Ridley’s ‘Krindlekrax’ (1991); a story with an eleven year old protagonist, easily recognised by his frizzy hair, Deidre Rachid style glasses and pathetically knobbly knees; a boy who even his own parents don’t have any faith in. THEY LOVED IT! Now, I must say I did play on the fact the protagonist was only two years older than themselves, and encouraged a discussion about times they had felt put down and wanted to stand up to those who did it. This really riled them up! There was SUCH a buzz in the air that I felt SO disappointed having to end the session. My two most reluctant readers walked away from that session, literally with their head in their books! The next day I was bombarded by pupils telling me how far they had read already (tempting that they may have read the most and “beat’ their peers, eh?). I even had a parent approach me to thank me for whatever I had done to get their child reading, and moreover wanting to read to their parent. WOW. Talking through ideas for writing. These activities were all informed by the literature on how boys learn, but by no means reflect all of the strategies you can use. There are SO MUCH MORE! At the end of my little “experiment”, I had all of the boys I worked with (even the really reluctant ones!) asking me for other books by the author. Incidentally, Ridley writes for a range of audiences — check him out! So, how do you get your boys interested in reading and/or writing? 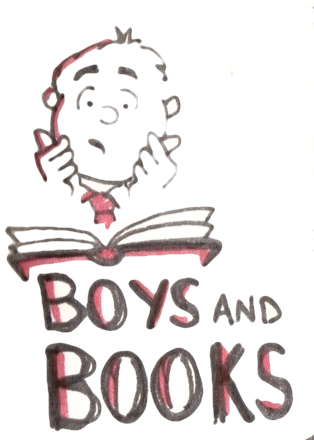 I’d love to share some great ideas and show that boys can be just as excited by Literacy as girls!